Immersive Color in the House has become a much sought-after benefit when thinking about ways to make Worship Environments more engaging for the congregation. 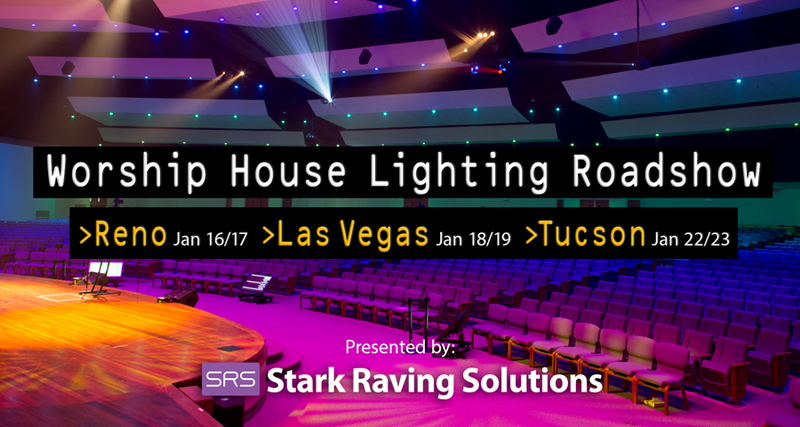 In January 2018, the SRS team will be touring multiple cities in the Western US and presenting multiple options for LED House Lighting, most involving immersive color and amazing energy efficiency. Products from Chauvet, The Light Source and ChromaQ will all be on display. A presentation highlighting the various products will be happening every hour, on the hour. RSVP here to claim your spot, and we’ll make sure there’s plenty of snacks and swag for you.